Luxottica is the global leader in optical retail, which includes some of the world’s most recognizable and desirable brands – think Ray Ban, Oakley and Persol. But competitors offering less expensive eyeglasses-by-mail have disrupted the market and depersonalized the experience in the process. 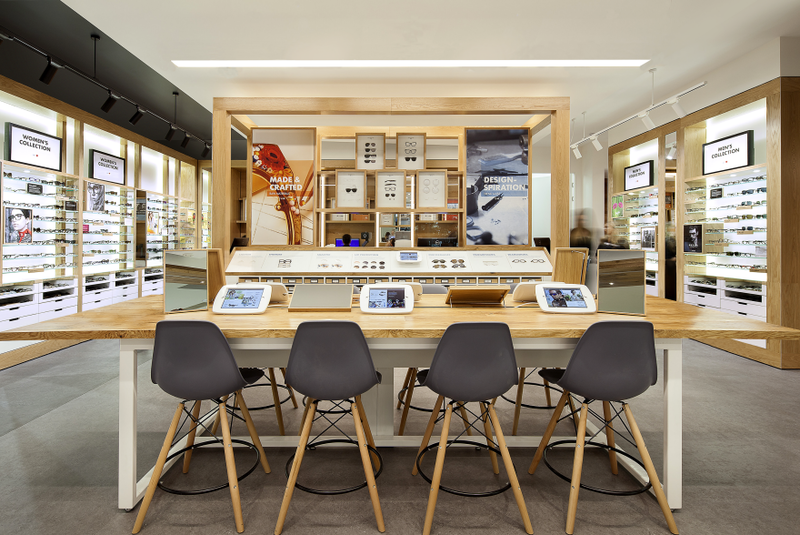 The In.Sight Center is a new service strategy for OPSM, part of global eyewear brand Luxottica, designed to make the experience of shopping for eyeglasses in person as responsive and satisfying as possible. 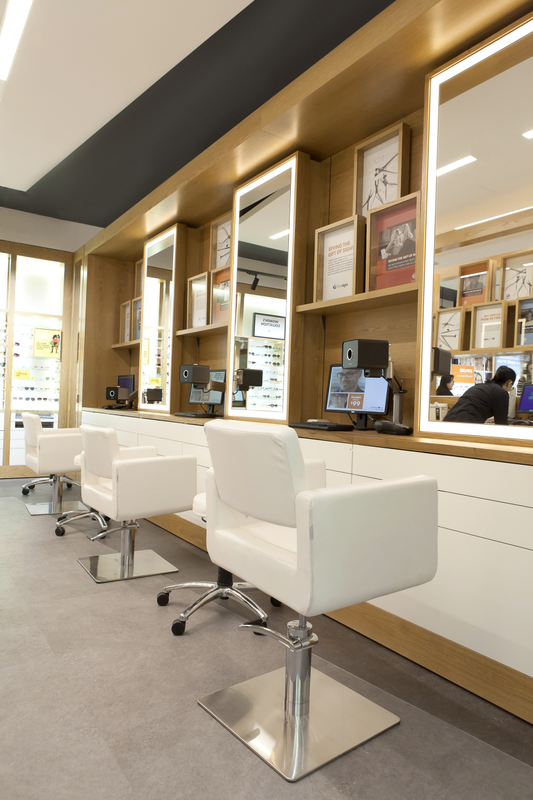 Housed within a completely redesigned store environment, the In.Sight Center integrates eyewear fashion and eye health into a single experience that reinforces the advantage of an in-person visit and can be executed consistently worldwide. Through the In.Sight Center, buying eyewear becomes a relationship-driven, consultation-based experience that lets consumers look and see their best. With thousands of brick and mortar stores around the world, Luxottica employs tens of thousands of highly trained optical specialists. They asked us to help leverage these employees more effectively, as part of redefining their retail experience. The entire In.Sight design – both the store environment and the services offered there – had to be scalable and adaptable to different countries, regions, formats and configurations. 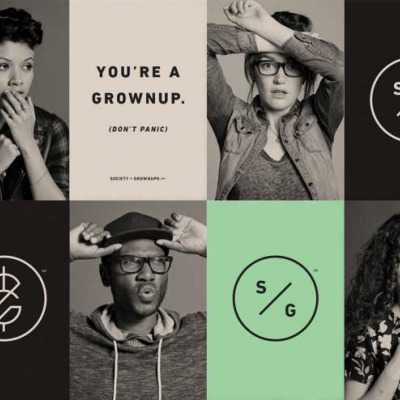 The In.Sight strategy also had to deepen each customer’s connection with a large, multifaceted brand, whose many manifestations can be hard to tie together. 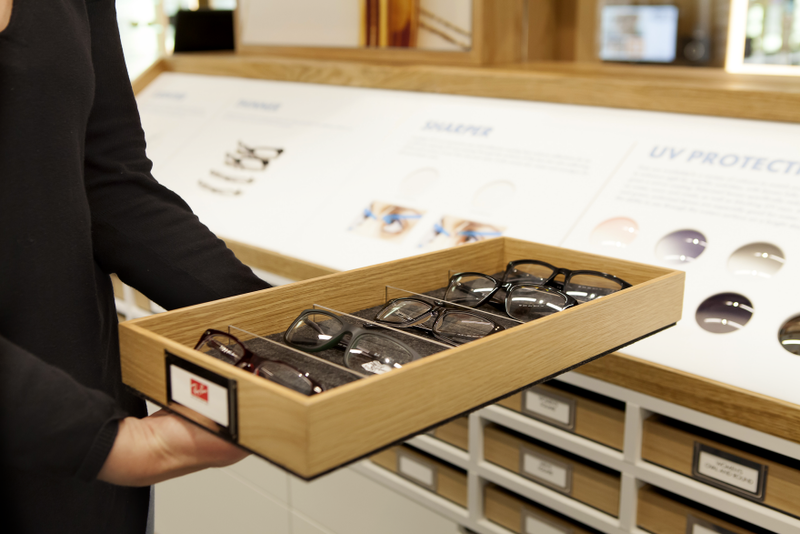 While Luxottica has a wealth of expertise, an unequalled selection of products, and state-of-the-art optical health services, the retail experience they offered didn’t reflect this. We began with field research: observing and talking with customers on three continents, and conducting extensive collaborative work sessions with Luxottica executives. While the initial brief spanned interior architecture, environmental graphics, visual merchandising, interactive media as well as service and staffing roles, an intensive audit showed that in-store service was the most critical differentiator. Everything we designed thereafter supports and enhances the person-to-person customer engagement made possible at Luxottica stores. We discovered that, overall, the new service strategy needed to enable a series of shifts. For customers, a shift from clinical to caring, and from complicated to intuitive. For Luxottica staff, a shift from problem-led to prevention-led, and from selling to consulting. But the single most important new perspective was to start thinking of eyecare and eyewear as inseparable, rather than two separate functions performed by retail optical outlets. This sounds like an abstract idea, but visit almost any eyewear store and this dichotomy is evident, and jarring – like cramming a clinic into the corner of a boutique. The In.Sight Center seeks to make the entire process a single, seamless (and personalized) whole. 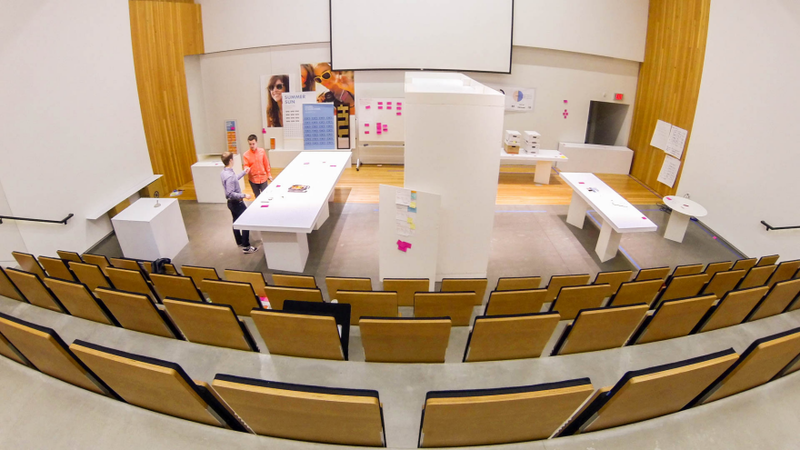 Once we understood consumer objectives and Luxottica’s strengths and challenges, we constructed a full-scale prototype environment in our studio, to arrange and prioritize the ideal customer journey through the process. After weeks of testing, we found and optimized the flow from storefront to checkout. 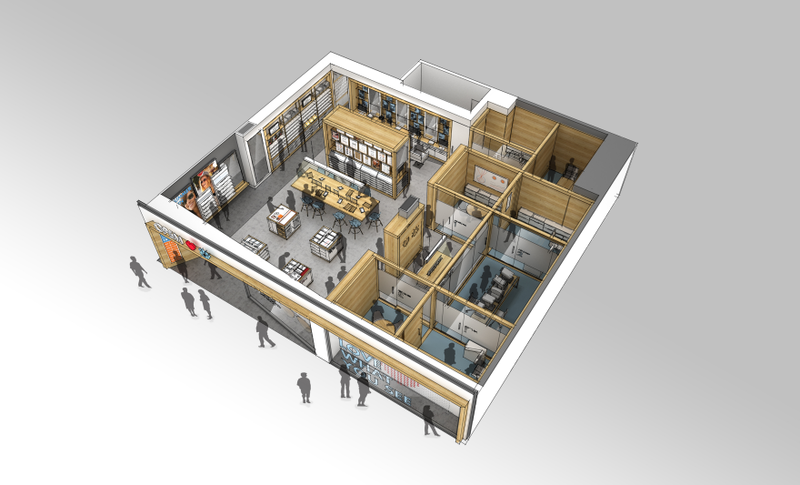 In this new, idealized customer journey, the first stop is the Gallery. 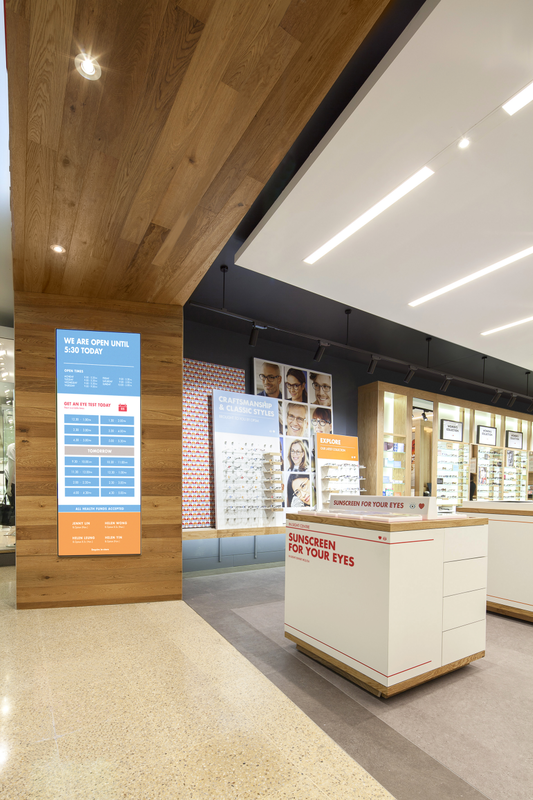 Customers complained that eyeglass shops were “a sea of frames,” so we introduced storytelling through always-evolving trend walls to the retail experience. Ownable, repeatable physical expressions are created with a signature merchandising tools that allow for customer discovery and learning, wherever they are in the world. 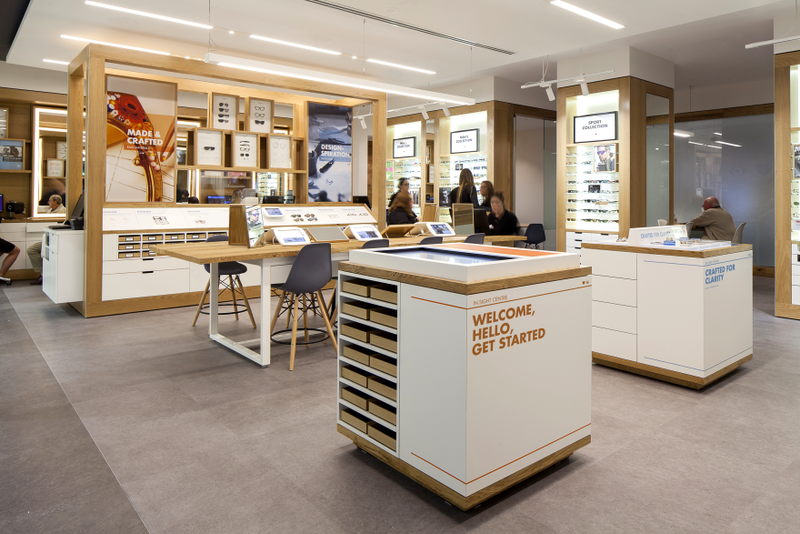 Digital service aides were added here: EyePlan software is available on touchscreens in the Gallery, allowing customers to register their personal information with Luxottica for easy access later on. 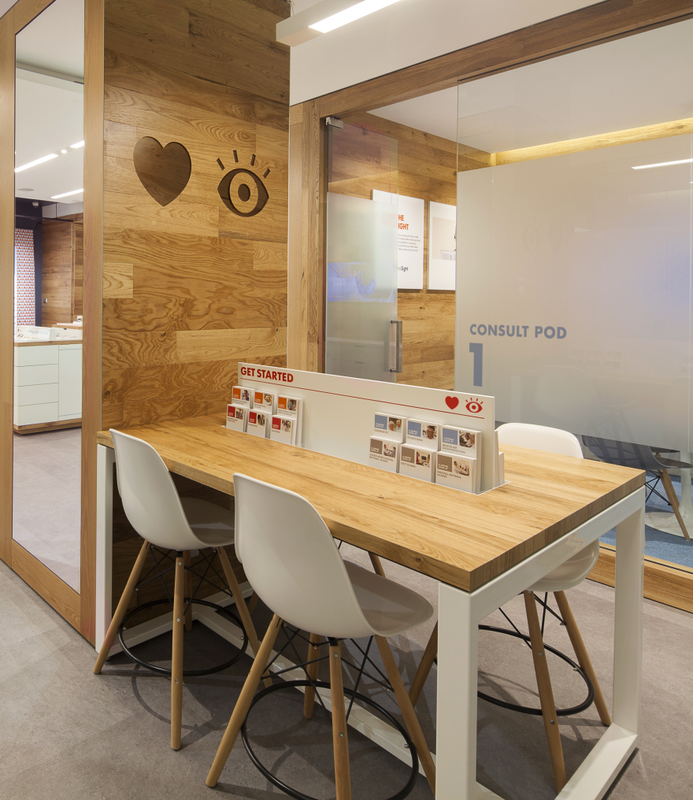 The next step at the In.Sight center is the Consult Hub, with clearly organized optical testing equipment and private rooms for consultation. Optometrists are well-supported by digital dashboards which set expectations for testing, explain technology, and share eye care knowledge. Customers receive personal consult maps that clearly explain all their results with easy-to-read graphics and digestible explanations. 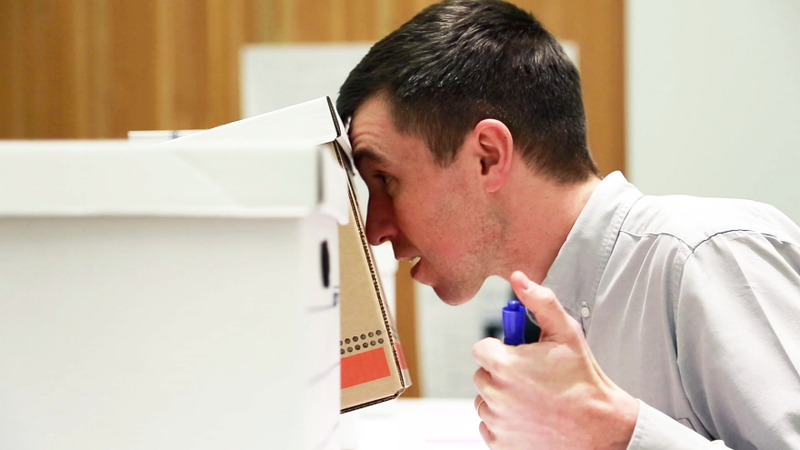 The AccuFit+ service expert customers have already made contact with returns at the end of the exam, to take part in a hand-off ensuring a seamless decision about the right eyewear. The entire customer experience comes together in the Studio. Digital tools help customers make decisions, from selecting the right lenses to sharing selfies with friends and family. We designed this vital heart of each In.Sight location to celebrate the place where purchases are fitted, personalized and handed over. Previously, Luxottica customers felt overwhelmed by walls full of similar frames; the opaque separation between health-focused eyecare and the fashion-led purchase of eyewear was no help either. 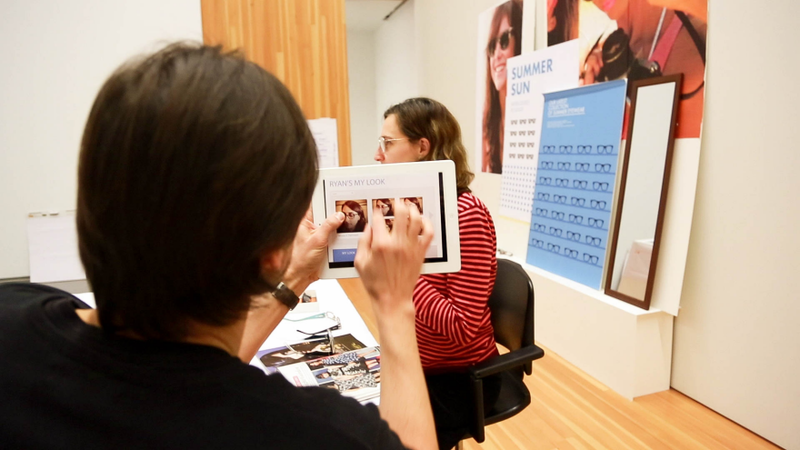 The In.Sight Center experience clarifies every product and service Luxottica offers, unifying the health and fashion elements of the optical shopping experience. Staff members now have well-defined, complementary roles, to guide customers through testing, frame selection and fitting. Service offerings are supported with well-integrated in-store destinations and highly visual, digitized planning tools. In the near term, the In.Sight Center streamlines the process of testing for and buying new eyewear by removing obstacles and integrating the clinical and retail components, encouraging people to update their prescriptions more regularly. This has positive implications for productivity, comfort and safety, as well as taking a formerly chore-like task and making it more satisfying. In the longer term, it also serves as a prototype for delivering health-related services in a more consumer-friendly way. 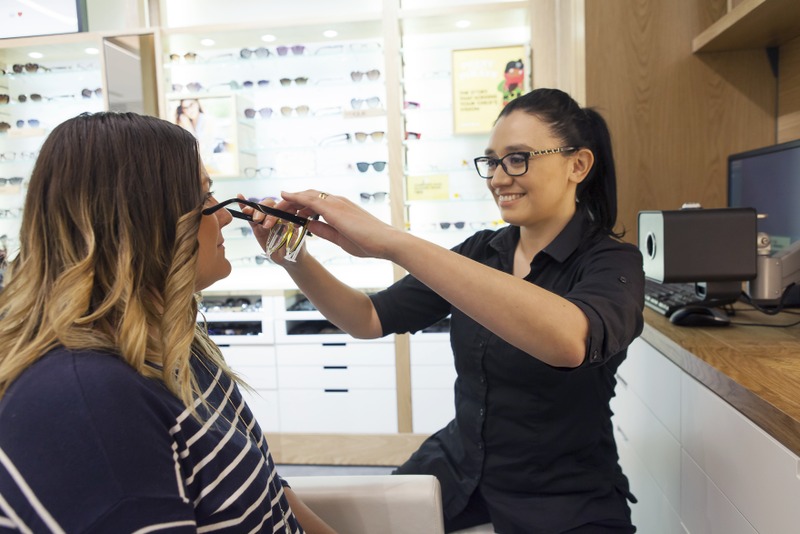 While tightly focused on Luxottica’s market, and taking advantage of their existing strengths as the world’s leading eyewear brand, there are numerous other customer services that combine professional consultation with purchasing in a similar way. By demonstrating one highly effective way for integrating the two, the In.Sight Center offers a model for better service in a range of arenas that improve quality of life. Additional stores are set to roll out in China and the United States later in 2015. I found the OPSM In.SightCenter a fascinating project, because of the process they used to get to it. You can learn so much more when you leave paper tools behind and start to get real by acting things through. I loved also the way the project redefined the roles of the staff members, and it was good to see them given new functions that made more sense to the customer.